Mission Impossible III on miniSD Card | BlackBerry Blast! As Mission Impossible III is about to be launched on DVD, Nokia is offering the movie on a miniSD card. Yep, you read it right, a miniSD card. 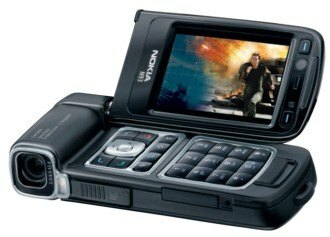 Nokia is making the movie available on a 512mb miniSD card that can be viewed on the Nokia n93 multimedia phone. The movie is available for free to customers in Finland, France, Germany, Hungary, Ireland, Italy, Portugal, Spain, Turkey and the UK. The Nokia N93 has a 2.4" QVGA screen that runs in landscape mode, and stereo sound, making it suitable for watching movies. Just be sure to keep your eyes on the road.